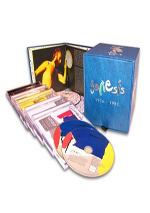 On the occasion of Genesis' 40th anniversary, Rhino begins a complete upgrade of their catalog, to be grouped into three CD/DVD boxed sets. This first installment contains five Phil Collins-fronted albums "A Trick Of The Tail", "Wind & Wuthering", "... And Then There Were Three", "Duke", and "ABACAB" plus "Extra Tracks", a new rarities compilation only available as part of this historic 12-disc box. Each album is reissued as a CD + DVD edition featuring new stereo mixes of the original album. The sixth double disc, "Extra Tracks", presents unearthed gems spanning '76-'82. Each DVD disc includes a 5.1 DTS Surround Sound mix of the album plus bonus video content, photo galleries, images of memorabilia, and previously unseen 2007 interviews with band members filmed just for this historic reissue project. The box includes nearly four hours of previously unreleased video material! After nine years in existence, Genesis changed irrevocably as a band in 1976. Original vocalist and leading light Peter Gabriel struck out for a solo career, which left remaining members guitarist Mike Rutherford, keyboardist Tony Banks, drummer Phil Collins and guitarist Steve Hackett in a quandary. Who should they make the new singer? The answer came from within, as the guys promoted Collins to lead vocalist status. With that decision, the band entered a period of popular success that never arrived during the Gabriel era. Die-hard fans prefer the more avant garde and “progressive” material of the Gabriel, but the general population still goes for the more pop-oriented work that comes from the Collins regime. We get a look at the first six years of that run via a boxed set called Genesis: 1976-1982. This covers the band’s five albums from that span as well as a disc’s worth of non-album material. We get 1976’s A Trick Of the Tail, 1977’s Wind & Wuthering, 1978’s …And Then There Were Three, 1980’s Duke and 1981’s Abacab. The sixth disc – simply titled Extra Tracks 1976 To 1982 - includes 13 non-album tunes. While most Genesis fans seem to remain most enamored of the Peter Gabriel years, I gotta admit that I’m a staunch Phil supporter. That’s sort of backwards since I definitely prefer solo Gabriel to Collins on his own. I just don’t care for the pretensions of Genesis under Pete whereas I tend to really like the band’s poppier work with Phil. Because of this preference, I think the work in 1976-1982 gets better and better as it progresses. That doesn’t mean I believe the first three Collins-led albums should be tossed into the dirt heap, though I must admit it took me quite a while to develop any affection for them. By “quite a while”, I mean a minimum of 10 listens apiece for Tail, Wind and Three. As someone who mostly digs the band’s pop material, these albums aren’t easily accessible, and they remain moderately off-putting for a variety of reasons. The lyrics are often absurd and silly, while Collins’ vocals lack much power. He usually either adopts a Cockney accent that leaves the impression he’s still playing the Artful Dodger from Oliver! or he whines like his nuts are in a vise. Neither style succeeds. Keyboards dominate the early material, and they honestly tend to overwhelm. They come across as portentous and overwrought, as does much of the music. There’s a strong current of “serious intent” heard on these earlier tunes; they want so badly to be deep and meaningful that it hurts. Most of them last way too long and never really come to a point. The band’s too concerned with time changes and rhythmic variations while they worry too little about producing memorable tunes. Finally, there’s a humorless attitude about the early albums that can make them less likable. That’s strange to see given Collins’ natural wittiness and jaunty attitude, but it’s the case. The tunes tend to be dense and lack a lot of natural spirit. For all those problems, I must admit that I eventually kind of liked these albums. Maybe they’re “whole is greater than the sum of its parts” efforts, as I find it tough to spotlight what makes them appealing. They’re much easier for me to knock than to praise. But I don’t want to leave an overall negative impression since I did come to dig the albums. They’re not open to much scrutiny, since the more one analyzes them, the more issues one discovers. But they’re reasonably interesting when taken as a whole. One exception to the ponderous, tuneless rule does exist: “Follow You, Follow Me”, the closing track on Three. It’s the best known tune from the first three albums, and it’s the one that best foreshadows the later Phil era – for good and for bad. It’s easily the most accessible and memorable tune across these three albums. While I think we’d get better songs in subsequent years, this one aptly demonstrates the more melodic path the band would soon take. Duke doesn’t take us straight into “pop Genesis”, but it opens the change that started with “Follow”. Duke definitely presents a transitional album, as it mixes some of the dense material ala earlier works with more accessible tracks. It balances the two sides pretty well, though. Yeah, I still don’t like the over-serious nature of Collins’ vocals much of the time, but we can hear him start to veer away from those tendencies, and the songs often seem more winning and melodic. One of the best examples of a song that srraddles the two sides comes from the opener, “Behind the Lines”. On the surface, it seems like just another long, too complicated piece, but it shows a tuneful side absent from similar numbers on earlier releases. It boasts a good sense of energy and drags us in with ease. Duke features two of the band’s biggest hits: “Misunderstanding” and “Turn It On Again”. Both are very good, though I prefer “Turn”. It’s got just enough old Genesis quirk to make it unusual, but it’s also lively and melodic. It’s definitely one of my fave Genesis tunes, and it acts to steer us toward Abacab. Probably the band’s best album, Abacab forms a perfect combination of the pop and prog sides of Genesis. Like “Turn It On Again”, much of the album serves both masters, as it combines some of the band’s unusual tendencies with a solid pop sensibility. This means we get a collection of consistently catchy tunes, even though Abacab sometimes doesn’t know when to quit. Take the title track, for instance. The first half rocks, but then we get stuck with an extended instrumental vamp that drags. I like the first few minutes more than enough to embrace the song, but I wish Genesis had made it shorter and dropped the tedious noodling that makes the tune so long. Things tend to stay with more reasonable lengths the rest of the time, and the album genuinely benefits from this approach. In addition, the tendency toward more melodies and fewer examples of plodding instrumental wanking helps. Yeah, “Dodo/Lurker” and “Me and Sarah Jane” run about as long as “Abacab”, but they feel more purposeful. Or maybe I don’t mind their length as much because they’re not so great right out of the box. With its powerful opening, the droning nature of the second half of “Abacab” causes disappointment. Overall, though, I really find little about which to complain in terms of Abacab the album. It’s catchy, lively and tuneful. Heck, I’ll even defend “Whodunnit”, maybe the most derided song in the Genesis catalog! So there you have it: the first five entries in the Phil Collins-led Genesis songbook. This era charts the band’s rise both in terms of success and also in quality, as they reach arguably their creative peak with Abacab. (I also really like 1983’s Genesis, but after that… well, that’s a story for a different review.) This isn’t the most accessible set much of the time, but it includes a fair amount of good music if you’re willing to give it a chance. Abacab (Abacab, 1981): The farther back we go, the more unfair it probably becomes for me to criticize simple lip-synch clips. After all, more dramatic or involving videos didn’t really start to emerge until 1982 or 1983, so it’s not right to expect anything like that from earlier days. Nonetheless, that historical perspective doesn’t make the lip-synch format less tedious. “Abacab” does nothing to distinguish itself as a canned performance clip. It’s a great song but not a very interesting video. 5/10. Keep It Dark (Abacab): Or maybe there is more to pre-1982 videos than simple in-the-studio lip-synch clips! “Dark” puts the band in trench coats and plops them in the streets of London to do their shtick before they eventually end up in a field. The song lacks much spark and plods along tediously, but at least the video tries to be creative. 6/10. No Reply At All (Abacab): Another terrific mid-period Genesis number, this one sounds a bit like “Paperlate” but not enough to mar either song. The video sticks mostly with the standard lip-synch, though it adds some wacky shots of Genesis on horns. It ain’t much, but I’ll take it. 5/10. Man On the Corner (Abacab): If you expect this video will plop Collins and the others on a street corner… you’re wrong. Instead, it keeps the band firmly in the studio for yet another ordinary performance piece. The song’s pretty similar to other Collins ballads, though it has a little more edge than his later, more syrupy work. 4/10. Turn It On Again (Duke, 1980): More of what I like from mid-period Genesis, “Turn” spans their prog roots with Collins’ pop tendencies to become peppy yet still a little quirky. Nothing exceptional comes from this straight performance video, though. 5/10. Duchess (Duke): This one uses the lip-synch format in a different way. Collins struts from backstage to the seating area in an empty concert hall as he croons, and the band members follow him. We also see some other audience shots and live bits. It’s reasonably interesting, I suppose. 6/10. Misunderstanding (Duke): Look – another attempt to do something different! We see the band tool around LA in the back of a truck as they perform, while Collins drives a convertible and sings. He also tosses out some acting as Phil pleads with his gal over the phone. No, this isn’t anything mind-blowing, but it’s ambitious for its era. Another strong pop tune helps. 7/10. Follow You Follow Me (…And Then There Were Three, 1978): Arguably the first blossoming of pop Genesis, “Follow” comes across as one of those tunes that would work on a Collins solo album. It’s not the best track of that sort, but it’s pretty good. The video lacks spark, though, as it sticks with a studio performance. 4/10. Many Too Many (…And Then There Were Three): This one offers a soundcheck performance. That means we see the band on an actual stage, something slightly unusual compared to the others. The song doesn’t do much for me, though. 5/10. A Trick of the Tail (A Trick of the Tail, 1976): The DVD’s oldest performances come from the band’s first post-Gabriel album. This one sticks with performance, but it maintains a goofy charm as all four members – Steve Hackett was still with them back then – gather around Banks’ piano. We also get the odd sight of a miniature Collins as he sings on top of the piano keys and elsewhere! We also get an odd image of Hackett with a monster’s claw. All that’s good enough to make this one above average. 7/10. Ripples (A Trick of the Tail): This is one ballad that sounds nothing like Collins’ later work. Whether that’s good or bad depends on your perspective, but I think it’s a decent tune despite some overblown tendencies. At least it gives us a taste of prog Genesis before Collins’ pop tendencies dominated. The video plops the band in the studio for a fairly ordinary clip. 5/10. Robbery, Assault and Battery (A Trick of the Tail): The most heavily prog number in the set, this is the one that most heavily shows the Gabriel influence. In fact, Collins seems to impersonate Pete here. It doesn’t work well. At least the video tries to be something different, as Collins and the others perform a skit that essentially acts out the lyrics. 7/10. In addition to the music videos, each DVD includes other extras. Of prime interest are the remixed multi-channel versions of all five albums. We find both DTS and Dolby Digital editions of the music. I thought these sounded just like the music video remixes, so expect continued high-quality audio from them. I really liked the expanded five-channel takes on the albums and found them to be a nice addition to the set. We get 2007 Reissues Interviews for each album. As noted in the body of the review, I didn’t receive copies of Tail and Wuthering, so I can’t comment on the interviews found there. As for the others, we hear from band members Phil Collins, Mike Rutherford and Tony Banks across all three sessions, while Steve Hackett also shows up for the first three albums. In terms of running time, Trick’s clips fill 14 minutes, 16 seconds and Wuthering’s occupy 14 minutes, 25 seconds. The Three interviews go for 13 minutes, two seconds, while Duke’s clips run 18 minutes, 45 seconds and Abacab’s last 14 minutes, 48 seconds. Across the interviews, we learn about various album and song details as well as the band’s evolution over the period covered. A few specifics accompany particular releases. For instance, Trick covers Peter Gabriel’s departure and the search for a new singer. Wind looks at songwriting credits and the impact of punk rock at the time. The Three chat talks of Hackett’s departure and the impact on the band, while Duke gets into the impact of solo projects and Abacab follows the introduction of new sounds to the band. Taken as a whole, these interviews offer a very interesting overview of Genesis in the time period featured. We get many fine details about the albums along with enough general remarks to give us the context for each album. The interviews are lots of killer with little filler and really do their job. For all five DVDs, we get stillframe reproductions of tour programmes. From 1976, we see the “White Rock Premiere Programme” (8 screens), and 1977 gives us a World Tour Programme (13). For 1978, we get booklets for the Japanese tour (15), Knebworth (4) and a German Festival (10). Looking at 1980, we find a programme for the band’s world tour (16), and we find similar set of images for their 1981 world tour (15). All are very fun to see, though it’d be nice to be able to zoom in on them. The writing is too small to read most of the time, so we lose detail. Nonetheless, they’re a nice addition. 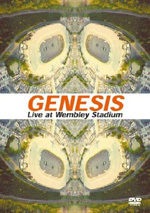 A concert film called Genesis in Concert appears on the Trick DVD. This program runs 42 minutes, 35 seconds and shows the band on stage circa 1976. Much of the time we see Genesis themselves, but the filmmakers also use lots of non-concert film clips to “spice up” the production; this means we see old silent film snippets and aerial footage of fighter planes. I could live without those intrusions, but otherwise the show works pretty well. It certainly offers the best production values of any live material in this boxed set, as the whole thing remains very professional. The songs aren’t the band’s best, but they’re interesting to hear in such a setting. This film is a nice addition to the package. Moving to Wind, we discover two examples of Bootleg Video. One comes from “US Television” (8:07), and the other emanates from “Japanese Television” (7:37). 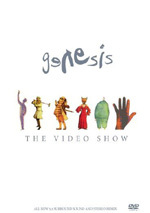 The American piece presents Genesis on The Mike Douglas Show as they play “Your Own Special Way” and “Afterglow”, while the Japanese program features “11th Earl of Mar”, “One for the Vine”, and “Your Own Special Way”. With smeared, runny visuals, the American segment looks absolutely atrocious. The audio fares better since the DVD’s producers dubbed the original studio track on top of the clip. That’s fine if Genesis just lip-synched on the show, but if they didn’t, I’m not happy with the use of alternate audio. It’d be a big mistake to replace an actual live performance with canned audio. Unfortunately, that’s clearly what happens for the Japanese segment. It obviously comes from a live setting but we still get studio audio imposed on top of it. I realize that the original sound was likely horrible; the visuals for the Japanese piece are just as bad as those of the American clip. They’re potentially valuable archival elements robbed of their usefulness by these audio choices. 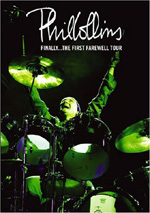 On the Three DVD, we find a concert documentary called Three Dates With Genesis. This 48-minute and 49-second show follows the band on tour and lets us see the work that goes into the production of a Genesis show circa 1978. This includes copious live footage but also gives us behind the scenes material to demonstrate that side of the business. A band history launches the piece before we see Genesis in 1978. Along the way, we get comments from Banks, Rutherford, manager Tony Smith, Knebworth promoter Freddy Bannister and some unnamed tour personnel. I can generate only one complaint about “Dates”: not enough live footage. We see snippets of the band on stage, but we don’t get a whole lot of this material. Otherwise, “Dates” turns into an informative and enjoyable program. It’s fun to see the concert business in the late Seventies and also learn a little more about Genesis in that period. The quality of this nearly 30-year-old videotape bites, but “Dates” remains a fine historical artifact. Most amusing moment? When Banks addresses the prospect of touring at an “advanced age” of 40. With performers in their sixties still selling oodles of tickets, it’s funny to recall the days when 40 was regarded as over the hill for a rock star. It’s also a laugh to hear comments about the “expensive” Knebworth tickets that ran the equivalent of about $12. Over on Duke, we discover a program called Live at the Lyceum London. It fills 38 minutes and 45 seconds with footage of the band on stage in 1980. They mostly cover songs from Duke but they also throw out a couple other numbers as well. The footage looks and sounds pretty decent, and we get a good feel for the band’s stage show of the era. It’s another good program that brings real value to the set. Finally, the bonus CD presents 13 songs: “Paperlate”, “Evidence of Autumn”, “Pigeons”, “You Might Recall”, “Naminanu”, “Inside and Out”, “Vancouver”, “Me and Virgil”, “It's Yourself”, “Match of the Day”, “Open Door”, “The Day the Light Went Out” and “Submarine”. That release also supposedly includes the “Paperlate” video and more interviews. It’s not clear to me if this is a two-disc CD/DVD release ala the main albums, so I don’t know if we get multichannel versions of these tunes. A booklet accompanies the box. If nothing else, Genesis 1976-1982 forced me to give more serious consideration to the band’s less pop-oriented work. I’d always like the early 80s Genesis but that was about it, as I thought their earlier material was too pretentious and “prog” for me. And I still think that way to a degree, as the three 1976-1978 albums remain somewhat off-putting to me. However, I can take enjoyment from them at this point, and I’ve come to appreciate 1980’s Duke and 1981’s Abacab even more. I definitely like this package, as it includes quite a lot of good material. We get multichannel versions of all five albums along with music videos, retrospective interviews, rare live material, and a mix of other goodies. The only impediment to my recommendation comes from the boxed set’s price of $130. Note that each of the five albums included can also be purchased individually in the same 2-disc versions found here. If you buy the boxed set, you get the bonus disc as well as the booklet. The price differential seems a bit much, though. Each of the 2-disc albums lists for about $20, so you’re paying an extra $30 for the bonus CD and the booklet. It’s probably worth it for fans, but I think that the boxed set retails for probably about $20 more than it should. Packages like this should give the buyer a monetary incentive to grab the whole package. Instead, this one almost punishes the consumer if they want the box instead of the solo discs.